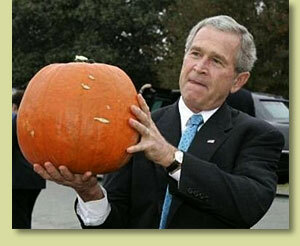 In the Fall of 2006, President George W. Bush visited The Pumpkin Patch to pick a few handsome orange jewels for display in The White House. We were honored to have this most important person, the president of the United States, drop by for a casual visit. 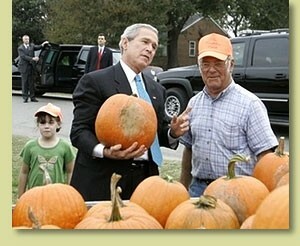 And we were proud, to say the least, to know our locally grown produce was worthy of “presidential approval”.